Yesterdays’s free pattern, Tove by Amy Christoffers, is a beautiful, easy lace top with welt details knit in one of our new spring yarns, Corsica. A simple-to-knit eyelet rib forms the body of this sleeveless tee, which is knit flat in two pieces and seamed. The welts are easy to work and create a sophisticated design element. The welts create a unique fabric, but are really very simple to make. 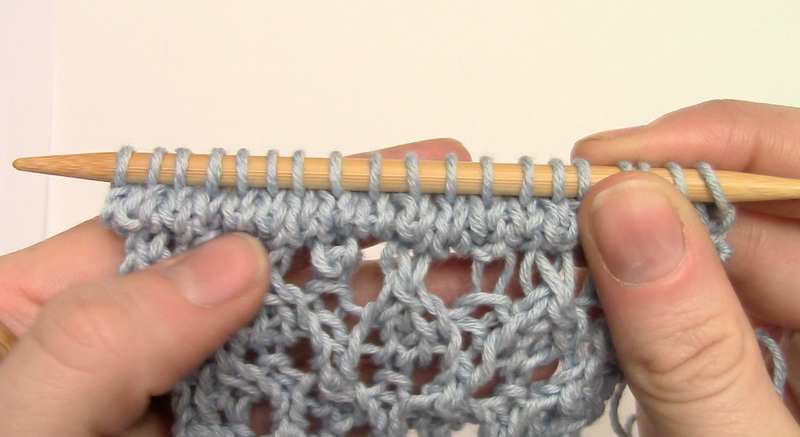 The pattern calls for knitting four rows of stockinette, then, on the wrong side, picking up the stitch three rows below and purling it together with the stitch on your needle, creating a small ridge on the right side. To get the hang of it follow, along with my how-to video below. I hope this helps as you work on your Tove! Corsica comes in ten shades of a sophisticated palette—our sample was knit in Nutmeg, but imagine how it would look in Cayenne or Venus. Find Corsica at a local yarn store near you so you can start knitting your Tove!